I often tell authors that book marketing is a full-time job. At least it can be. And that’s true whether you’re published traditionally by a large New York house, you self-publish entirely on your own, or you work with Mascot. 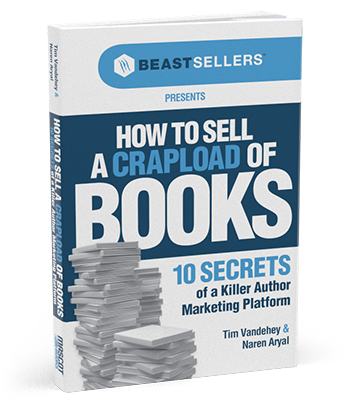 99.99% of authors aren’t able to devote their full-time efforts to marketing their book. That’s life. Other priorities prevail. No, it doesn’t mean it’s impossible to have a successful book without going full-time. I’m just saying, all things equal, the more time devoted to marketing and promoting your book, the better your results will be. Of course, you have to have great content, so for the purposes of this blog post, let’s assume your book is a creative masterpiece. When the inspiration struck for our first title in 2002, I was working full-time as an in-house lawyer for a technology company. By the time Mascot Books was launched the following year, I’d left my corporate job and jumped head first into the world of publishing. It was scary, for sure, but I felt going full-time was the only way for me to truly get the word out about our titles, increase distribution, and provide a platform for further growth. In the following thirteen years, we’ve worked with talented and successful authors. Many of those authors dreamed of making writing their full-time career, but very few have actually made the leap. I’d like to introduce you to one such author here. I met Andy Symonds nearly three years ago. 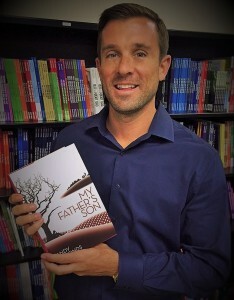 At that time, he was writing My Father’s Son, a poignantly written novel about a young man growing up in the shadow of a war hero. Actually, at that time, the novel had a different title, and while the writing and storytelling were strong, there were areas that required more attention. Andy was meticulous about his writing and he was forever improving the story. I often advise writers that writing is a process and Andy took that advice to heart. As a result, his book turned out exceptional. A passionate writer on the side, Andy’s day job was with Microsoft, where he sold technology solutions to the government. He was clearly successful at his job… and likely well compensated. Last month, we successfully published My Father’s Son, with a launch party at a D.C. staple – Busboys and Poets. It was even clearer to us then that Andy had the full support of his family and friends. 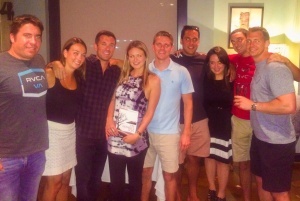 His talent was no longer just visible to us, but to the great crowd that gathered to toast his first book release. 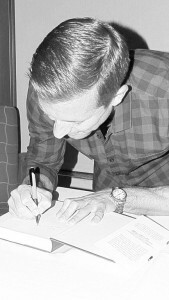 Over several months, we’ve worked closely with Andy to devise and implement a book marketing plan. Just last week during a conference call Andy informed us that he had just quit his day job and was going to devote his full-time efforts to promotion and the writing of his next book. Publishing success isn’t easy, and I don’t go around telling authors to quit their day job, but we’re thrilled to both support and guide Andy during this journey. 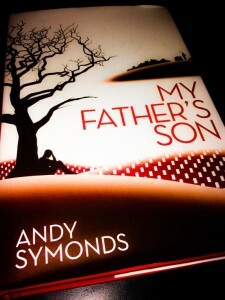 If you’re inspired by Andy Symonds’ bold move, please consider checking out My Father’s Son, and if you like what you read, tell your friends about this gutsy and talented new author! We can’t predict what the future holds, but I’m certain this won’t be the last you hear of Andy Symonds.